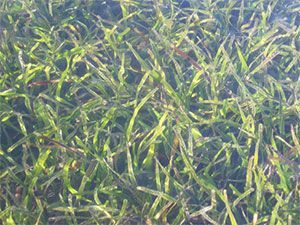 Bega Valley Shire’s coastal zone, like coastal areas elsewhere in Australia is facing increasing pressures from competing land uses and resource users. As both resident and tourist populations increase, so too the scale and intensity of coastal planning and management issues are increasing. The majority of the Coastal Zone is area comprises National Parks, State Forests, public reserves and major water bodies (estuaries, lakes and lagoons). The remaining sections of the coastal zone (privately owned land) are home to majority of the Shire’s population. This population concentration in such a small section of the coastal zone has the potential to place great demands and stresses on the coastal environment, individual ecosystems and their inherent resources, both physical and biological. Five of the Shires six, major population centres (Merimbula-Tura Beach, Eden, Pambula –Pambula Beach, Eden, Bermagui and Tathra) are located within the coastal zone as are several smaller villages (Wonboyn, Kalaru, Wallaga Heights – Beauty Point – Fairhaven) and major rural residential areas (Barragga Bay, Tanja and Broadwater). These population centres are reliant on the coastal zones major industries (tourism, forestry, commercial fishing / aquaculture), which in turn are heavily reliant on its inherent natural resources and those of nearby regions. The coastal zone’s natural beauty and environmental resources make it the focus of tourist and visitor activities within the Shire. The diversity of coastal environments, recreational opportunities and accommodation styles, sees the coastal zone population triple during the summer holiday period. This influx of visitors to the Shire places further demands on the coast and its resources and presents a further set of issues for managers of the coastal zone. The coastal zone is facing increased pressures from population growth and associated development pressures (sub-division, industry, tourism), which when balanced against environmental protection and resource conservation requirements have the potential to result in land use conflicts. 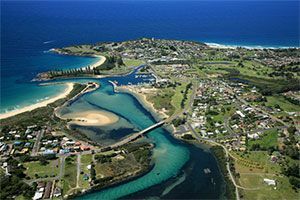 Bega Valley Shire Council has recognised the increasing pressures and resultant management issues confronting our coastal zone and has made a concerted effort to ensure that coastal management was a key consideration in the Land Use Planning for the Shire. The Comprehensive Local Environment Plan (2013) protects our “coastal catchments” through the strategic application of zones, adopting a landscape approach and starting at the estuary / coastline and then working up into the catchment.